NYRR is making a real difference in the lives of children. We reach almost 250,000 youth through Rising New York Road Runners, propelling them to expand their physical, emotional, and educational potential through running. Running has the power to transform the lives of not only the runners but the individuals and communities they choose to support along their journey. In 2018, 10,000 charity runners raised a record $40 million during the TCS New York City Marathon on behalf of hundreds of not-for-profit organizations in New York City and across the nation. This number represents a mix of charity runners, including those registered to run the race with an official TCS New York City Marathon charity partner, those running on their own but raising money for an official charity partner, and those running on their own and using CrowdRise, the TCS New York City Marathon official fundraising partner platform, to raise money. Since the inception of the official charity partner program in 2006, more than $310 million has been raised. NYRR’s Team for Kids, the TCS New York City Marathon's largest charity, raised more than $8.65 million for Rising New York Road Runners. This dedicated team of adult runners from around the world adds meaning to their miles—raising funds in support of NYRR’s commitment to provide young athletes with effective and affordable fitness programming. 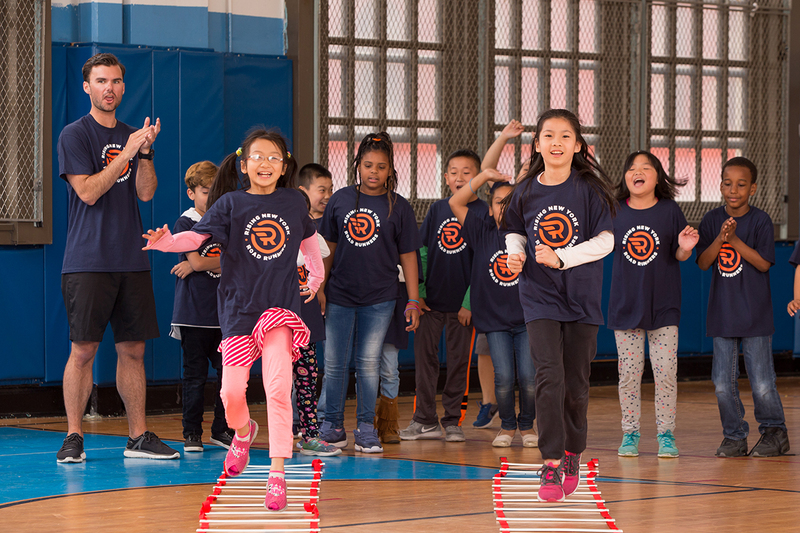 Nearly 250,000 students are impacted through Rising New York Road Runners’ programs, events, and resources, including more than 125,000 in New York City's five boroughs. Running the TCS New York City Marathon is a feat of willpower—and the race itself is a testament to the economic power of 1 million + spectators, thousands of runners and their guests, plus sponsors, vendors, and NYRR. In 2014, the race generated a record $415 million for New York City, significantly boosting tourism, tax revenues, and the economy.